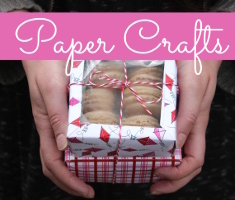 Crafting and creating with young people is a learning experience for kids and adults. I like to use the prep-time as teachable moments. I might tell a background story about St. Patrick’s Day, how the tradition began etc. If they’ve never been to Ireland or seen pictures I might bring out my laptop and show pictures first of where Ireland is on the map and then of photographs of the landscape. Kids seem instinctively interested in geography, place, contrast, and of course, pictures, so I like to nurture these interests from a young age. Then I’ll introduce the activity and ask my little ones what they think might work and what might not. If we’re using something new I always like to model using the materials. Then I sit back and watch them discover and learn from their experience. Kids can make this St. Patrick’s Day special with a lucky name plate for every member of the family. I’m always looking for something green to wear on St. Patrick’s Day – these cute shamrock pins will save my day! 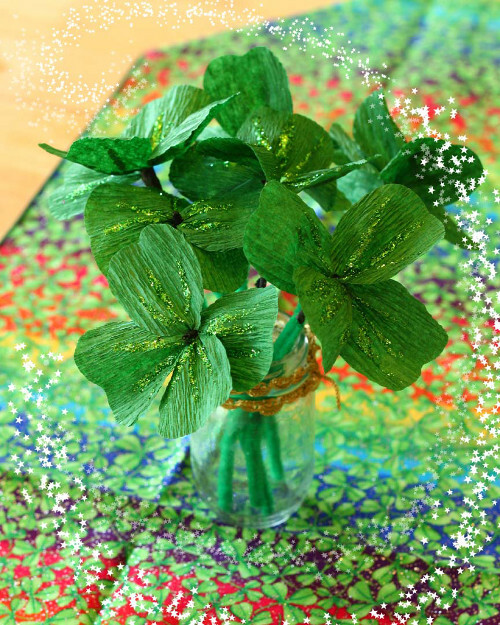 If your little ones like making paper flowers they will love these crepe paper shamrocks, and they make beautiful St. Patrick’s Day decor. 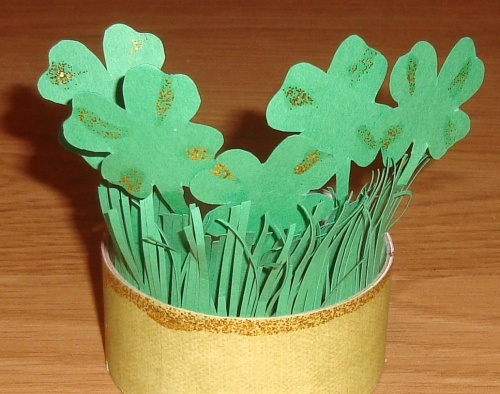 Kids can give these lucky pennies as presents or you can use them in games or scavenger hunts. 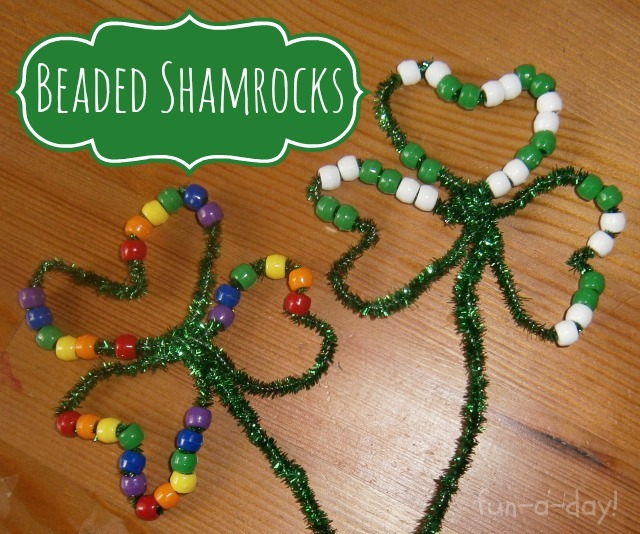 Beading is a great fine motor activity for small hands, and these beaded shamrocks would make great presents or decor to make your St. Patrick’s day special. Shop our St. Patrick’s Day Sale and Save a Little Green! 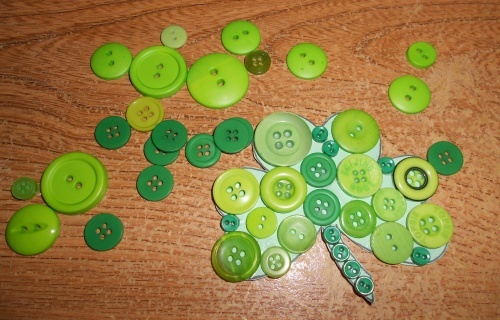 This entry was posted in Beading, Button Crafts, Crafts, Crafts for Learning, Family Crafts, Holidays & Seasons, Kid's Crafts, Paper Crafts, St. Patrick's Day, Toddler Crafts and tagged Button Crafts, chenille Stems, Crafts for Learning, Family Crafts, Glitter, pipe cleaners, shamrocks, Slime on February 29, 2016 by Maria. Maria lives in Portland with her husband and their bunny. 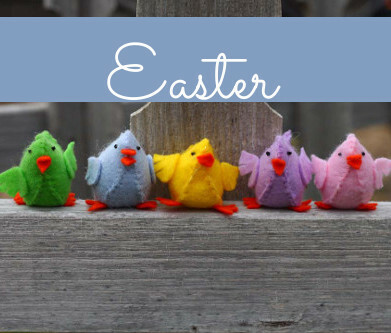 She worked for years as an early childhood educator and developed a love for crafting with kids - because kids are truly the most creative and inventive crafters out there! 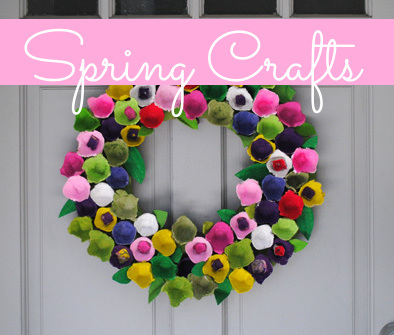 Lately Maria is mostly interested in budget friendly home decor projects and kid's crafts.